1:50 AM Achluophobia, Health, Health care, Treatment. Arachnophobia is an irrational, ever present fear of spiders. An arachnophobe will often Arachnophobia - Fear of Spidersavoid walking barefoot and be on the lookout when bathing. If you have arachnophobia, you will most likely take measures to avoid contact with a spider. You may frequently carry out checks for presence of spiders before entering a room or getting on a bed. As a result of this phobia you may be choosy about where you spend your holidays or when to venture outdoors. Nature camps and hikes are likely to be on your most hated activity list. You will often avoid a visit to the zoo or take part in any activity that involves venturing into fields. A definite cause still remains elusive as experts are uncertain about one. Some opine that the phobia may take root based on one’s cultural background. Like those located in a specific region may fear large spiders, while others have no fear and might actually not mind eating one. So, culture can play an important role in dictating how one reacts to the presence of spiders. Some theorize that an abnormal fear may be the result of a traumatic event or frightening incident that took place in early childhood, involving spiders. Sometimes, arachnophobia causes you to limit or schedule your daily activities at home, work or other places in such a way so as to avoid any exposure to spiders. Many with this phobia experience panic & anxiety at the mere thought or an exposure to a spider. Although a practical realization is in place that any risk of being physically harmed is minimal or null. On spotting a spider you may freeze in place or panic & scream. You may become totally helpless in dealing with the situation, and if alone, may altogether flee from the site. Systematic desensitization is an effective method used for arachnophobia treatment. It is a therapy that weakens the link between anxiety & the object causing anxiety. 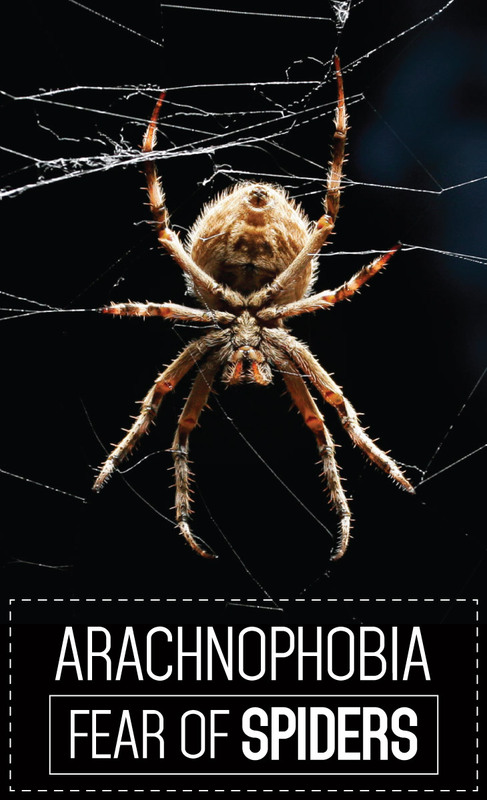 The focus is on reducing or eliminating the phobia and help the arachnophobe overcome their fear. In addition, relaxation techniques may also be utilized to alleviate any anxiety present in the affected person.